Regional pizza is hot, from Chicago’s deep-dish pies to Detroit’s rectangular pan creations. 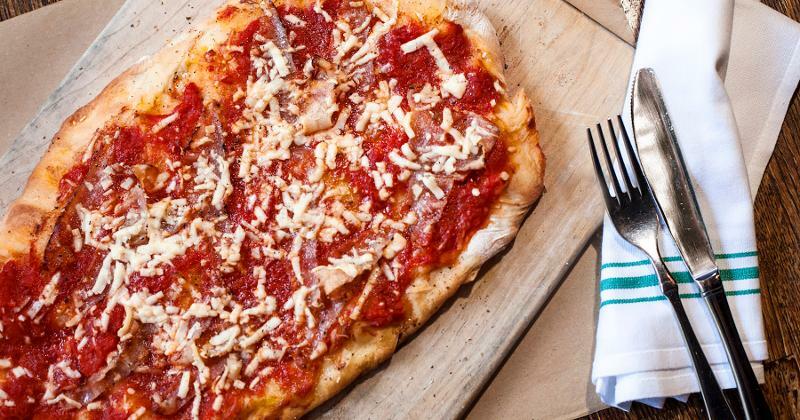 And now Roman-style pizza is invading the U.S., as operators from coast to coast launch pizza concepts celebrating the cuisine of Italy’s largest city. 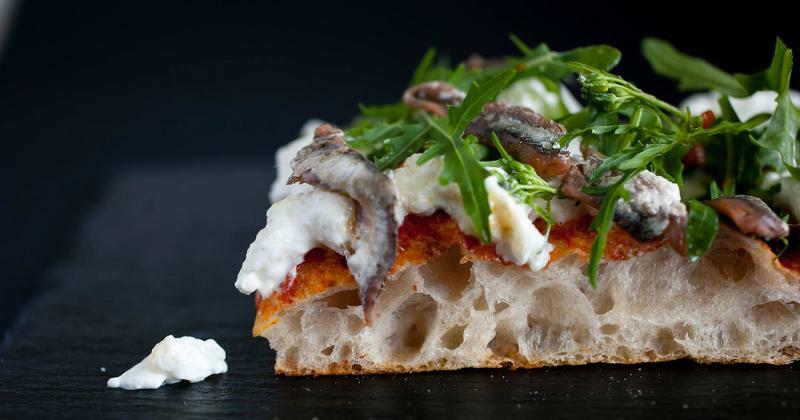 Roman pizza is known for its focaccia-like oil-fortified crust that’s crispy outside and toothsome inside. Roman pizza is often served “al taglio”—cut with kitchen shears (to avoid disturbing the toppings) and served by the slice. Roman pizza, unlike wood-fired Neapolitan versions, is typically cooked in an electric oven. 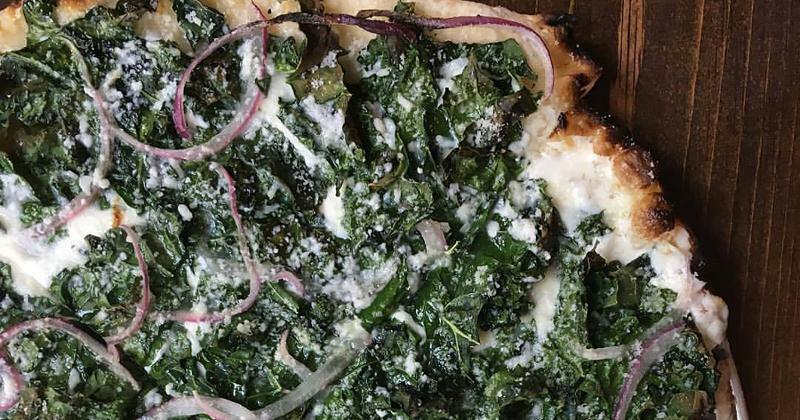 Here’s a look at some of the Roman pizza concepts opening around the country. Gabriele Bonci, well known for his pizza in Rome, debuted his first U.S. concept in Chicago in August. 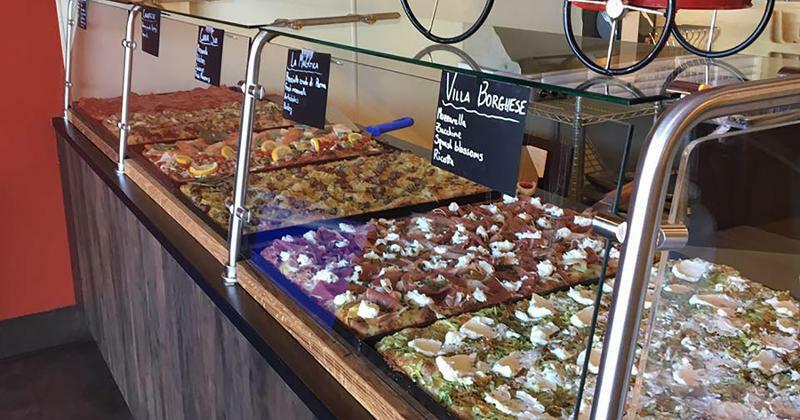 Bonci’s al taglio-style, fast-casual pizza shop does not accept cash and seats about 30 people. Bonci Pizzeria makes its dough with flour imported from Italy and serves some 10-20 rotating pizza offerings each day, all displayed behind a long window. Pizza slices are sold by weight. Toppings include potato and mozzarella, hummus and mortadella and meatballs and Parmesan. In addition to pizza, Bonci sells suppli, the Roman variation of Sicily’s arancini—fried balls of rice filled with various ingredients. Bonci U.S.A is planning a second Chicago unit. Operators are experimenting with other styles of Roman pizza, such as pinsa. This thin-crust variation, made with wheat flour, rice flour and spelt, is the star of just-opened Camillo in New York City. The 48-seat restaurant, named after cocktail founder Count Camillo Negroni, also serves pastas and large-format Roman plates like roasted goat with anchovies and rosemary. The beverage list includes several Negroni riffs, as well as Roman wines and beers. Inside, the walls are lined with black and white photos of Rome. 3. The Shake Shack of pizza? After operating full-service pizzeria Marta for three years, Danny Meyer’s Union Square Hospitality Group crew launched a fast-casual version. Martina cooks its Roman-style pizzas in about seven to 10 minutes. And, much like at Shake Shack, guests get alerted via buzzer that their orders are ready. 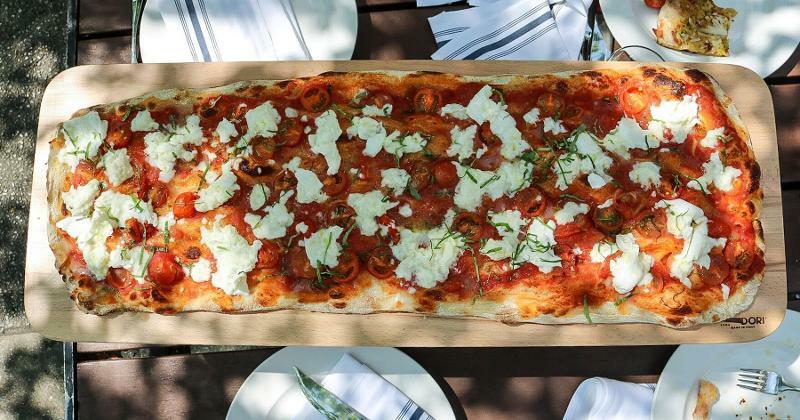 About 60% of Martina’s diners are ordering a starter like suppli or salad, as well as beer or wine, to have as a first course while the pizza cooks, Executive Chef Nick Anderer says. USHG reps say they have no current plans to expand the concept. Unlike Bonci, the Il Romanista Roman-style fast-casual that just opened in an office park in LA charges per slice and not by weight. But, like Bonci, the pieces are cut with large shears to keep toppings like eggplant, soppressata and mozzarella in place. 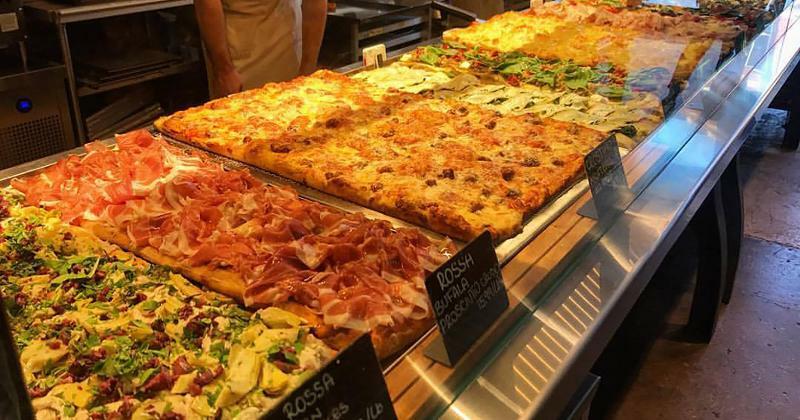 Il Romanista also offers cheeseless, vegan-friendly slices as well as grab-and-go salads and “pizza ripenas,” a folded item much like a calzone. Inside, a flatscreen TV plays Italian football matches. An open cargo container will take center stage in the design of Bar Cargo, a Roman-style pizzeria slated to open next month in Chicago. The restaurant-and-bar concept comes from Anthony Stefani, son of Windy City restaurateur Phil Stefani. They’ve brought in an Italian pizza chef to craft the Roman pies, which will be sold as full or half pizzas.